Casa de las Academias is known as the Seat of the Academies of History, Language and Sciences/ Sede de las Academias de Historia, de la Lengua y de la Ciencias. 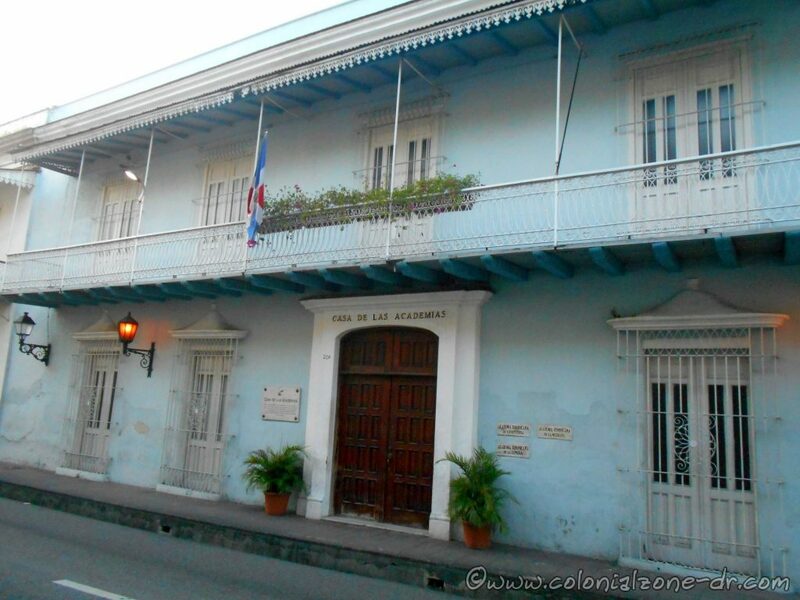 The Dominican Academy of Language was founded October 12, 1927 to ensure the functions of language development. 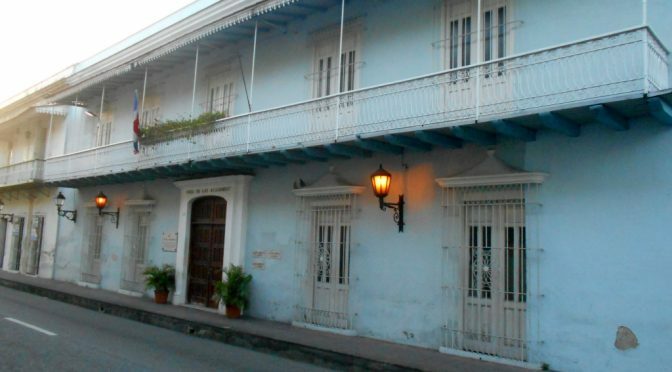 The Dominican Academy of History dedicated to the area of history was founded 23 July 1931 to provide research and studies of Dominican history, search, sort and classify data and documents and to provide information and documentation to people who do research on history. The Academy of Sciences of the Dominican Republic was established on December 20, 1974 to promote the development of science in the Dominican Republic. The house was constructed in 2 different centuries thus the different styles. Originally President Ulises Hereaux (Lilís) occupied the home. It was later remodeled by Manuel Maria Gautier. He had a balcony and the iron railings added to the design in the French tradition. This beautiful building has also been the home of Receptoria de Aduana/ Customs Receiving, Banco Central/ Central Bank, Logia Masónic/ Masonic Lodge among others. 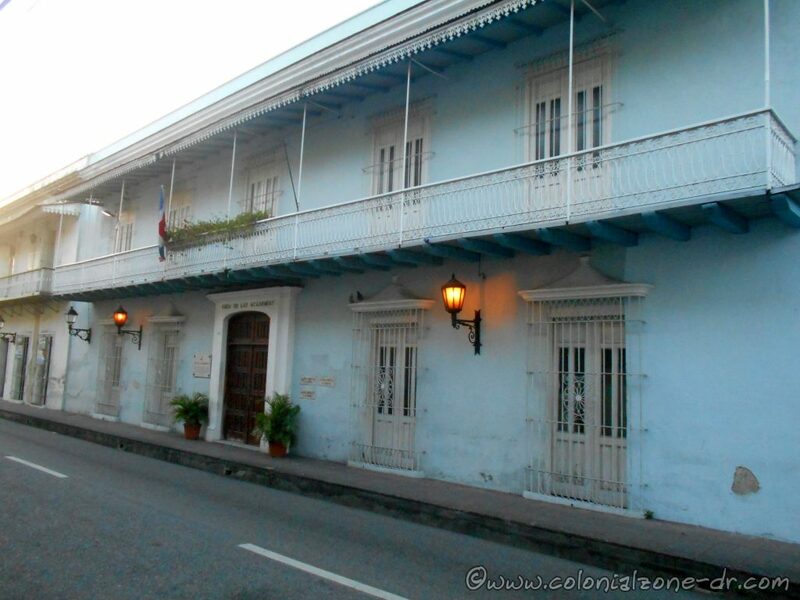 Directions: Calle Las Mercedes #204, Zona Colonial.